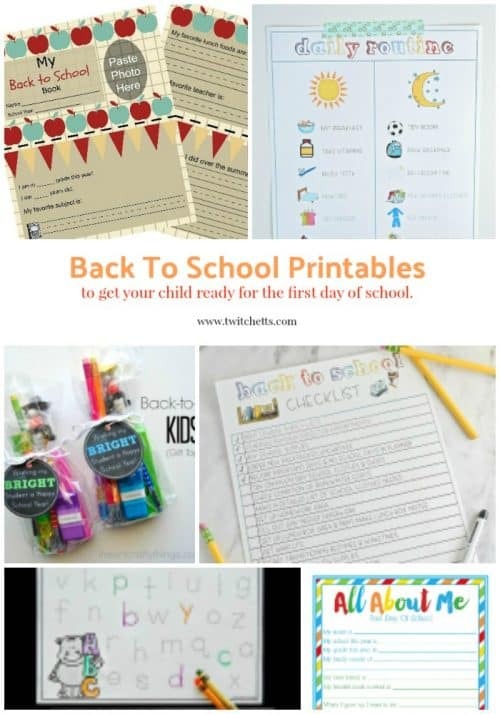 Grab these back to school printables to help make the first day of school just a tiny bit easier. Get your child ready for the new school year with these fun printables. Little Miss is about to start kindergarten. I don’t know who’s more anxious. Me or her…I’ve been doing lots of research on the subject and kept finding these fun printables that make the first day of school just a little more exciting and little less stressful. I wanted to share them with you. Even if it’s not your child’s FIRST, first day of school, there is something for you. Hopefully one will be just what you need to get back into the swing of things. Grab your printer and a laminator and get ready for the back to school printable fun!